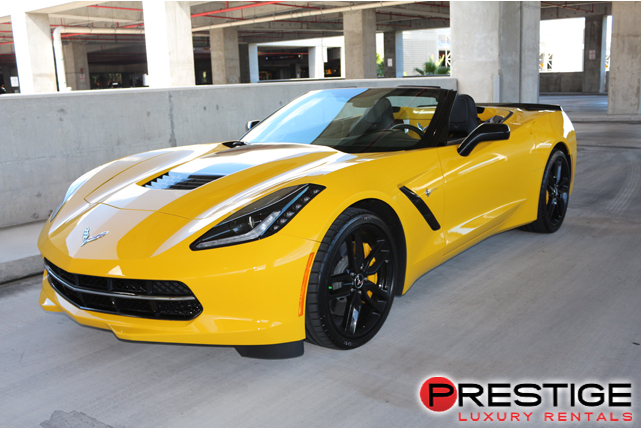 If a car can be described as fitting like a glove, the Corvette Stingray Convertible is that car. It is a compact sports car that leaves room for the driver and the passenger and little else. 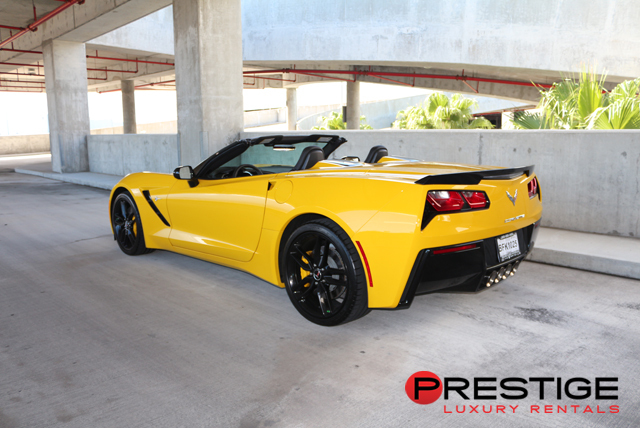 Of course, the reason that there is little leftover room is because the Corvette Stingray Convertible is using that extra room for some of the most impressive features you can find in a modern convertible. The automatic soft top can open or retract at up to speeds of 30 MPH and the powerful engine provides smoking hot speed and acceleration. In the cockpit, you have touchscreen access to hands-free calling, GPS navigation, Pandora radio station, and even up-to-date weather service. 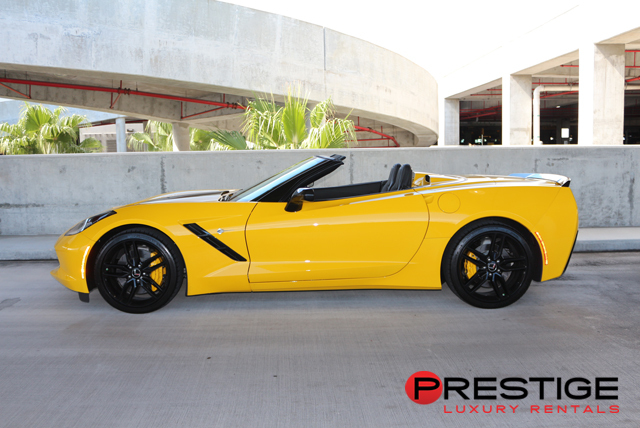 You are literally sitting in the lap of luxury while driving a Corvette Stingray through the warm Atlantic breezes of Miami.